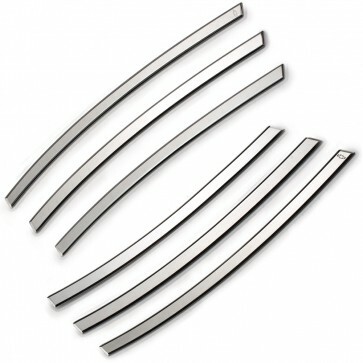 Accent your 5th generation Chevy Camaro with these chrome-plated side vent inserts crafted from 6061 aircraft grade aluminum billet. The pieces are inserted in each of the "gills" on the side of the Camaro. Backed with GM automotive adhesive, they can be easily installed in a couple minutes. Set of 6. One vent piece on each side engraved with the Chevy bowtie. Four year limited manufacturer's warranty.